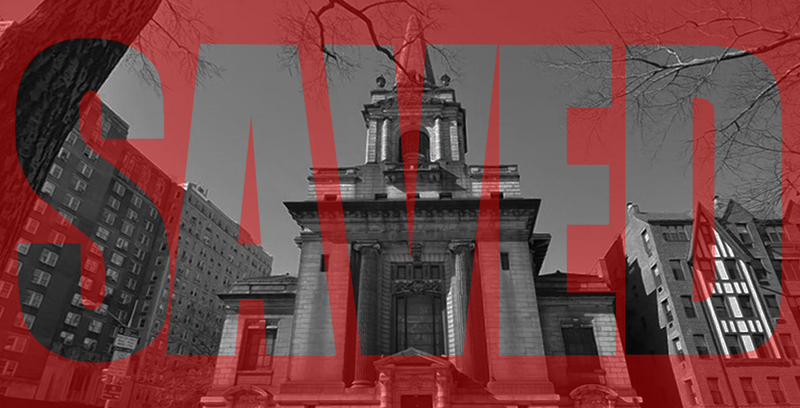 Today, the NYC Board of Standards & Appeals (BSA) did the right thing and voted to DENY the application for zoning variances threatening the former First Church of Christ, Scientist – the NYC Individual Landmark anchoring the corner of Central Park West & 96th Street since 1903. Developers wanted to pack 34 luxury condos– the equivalent of a residential high-rise – into the interior of the Church, designed by renowned architects Carrère and Hastings, the same architects who gave us the New York Public Library main branch. Hearing after hearing, since 2014, the developer’s team presented misleading and inadequate arguments to city agencies, claiming “hardship” for a speculative development project that would have yielded a financial windfall. Neighbors organized, persisted, and – against steep odds – won a rare victory against deep pockets and politically connected lobbyists. This was a fight we all had to win – not just for this Landmark, but for each and every place of importance to communities throughout New York City. And so many others who swelled the ranks of the nearly 1,000 New Yorkers who signed the online petition saying “Enough!” to the kind of business as usual that diminishes the quality and character of our city. This building saved my life…This is not just bricks and mortar. Today, the favor was returned. With the denial of this destructive proposal, there is new hope for the future of this NYC Landmark. Please visit the LANDMARK WEST! Watch-Blog for a full history of this issue.